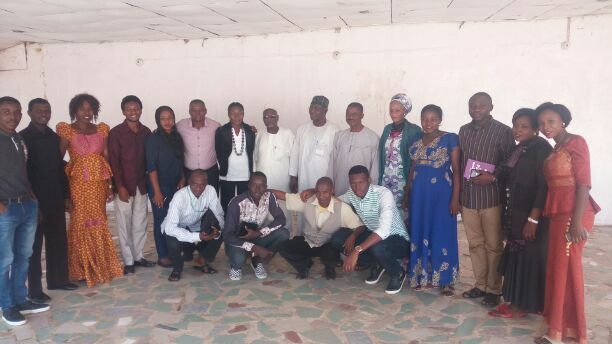 Worried by the influx of unprofessional news bloggers on Nigeria airspace, a non governmental organization, Africa Media Development Foundation (AMDF) in partnership with a Kaduna-based software solution group, NextMerge on Tuesday, trained 20 interested trained Journalists on blogging who applied for the training. AMDF is a non governmental organization aimed at enhancing professionalism through training and retraining of media professionals among others while NextMerge is a group of yong software and ICT professionals. Declaring the training open in Kaduna on Tuesday, Coordinator of AMDF, Sekyen Dadik hinted that the aim of the training is to prepare, train and encourage the trained journalists to be alive to their responsibility of providing the public with factual and timely accounts of development around them instead of allowing laymen taking over such responsibility. According to her, journalism is revolving hence the need to key into the train because the time is coming when everything will be internet driven and any journalist lagging behind may eventual means his schedule thereby get relegated to the background. The objective of the training she said was to create a platform for bloggers to have access to software and ICT problem solvers to enable them deliever effectively, to encourage continuity and urge those that have not started to embrace it as that was just the way to go in this century. At the training proper, Silas Auta of NextMerge, who took the trainees on the rudiment of blogging, expressed worry over increase number of blogs managed by unprofessional with misleading information at the expense of trained media practitioners, noting that AMDF has provided such a platform where issues relating to launching and managing blogs that will report all side of developmental stories around them for the purpose of projecting Africa in good light before the international communication. In a remark, representative of Nigerian Union of Journalist, Correspondent Chapel of Kaduna Council who is a former council’s scribe, Dominic Uzu reminded the participants that no education is a waste hence the need for concentration. He said, “you need to be above the board. If you relegate yourself to the background, then you are on your own because this is another opportunity for you to be up to date. “It is very important I commend participants who are here to be part of the reality on ground. I urge you to take every session of the training very seriously no matter how old you are. It is a lifetime experience and we cannot just afford to be left behind”, he added.